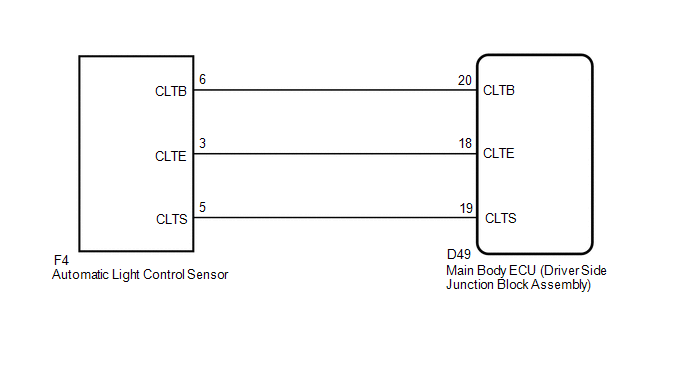 The automatic light control sensor detects ambient light, converts it into an electrical signal, and outputs it to the main body ECU (driver side junction block assembly). 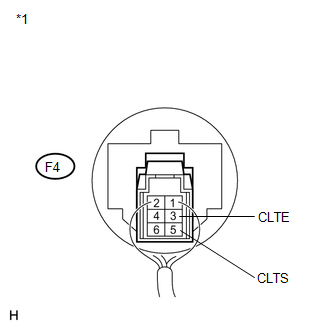 The main body ECU (driver side junction block assembly) turns on or off the headlights and taillights according to the signal. (d) Select the following menu items: Body Electrical / Main Body / Data List. (e) Read the display on Techstream. (a) Reconnect the D49 main body ECU (driver side junction block assembly) connector. (a) Reconnect the F4 automatic light control sensor connector. 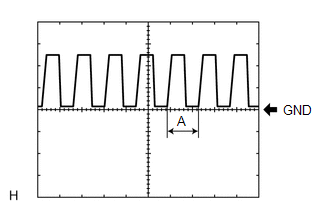 (b) Connect an oscilloscope to the automatic light control sensor connector.